The most important historic building in Varenna, Villa Monastero, is a short walk from the central square. 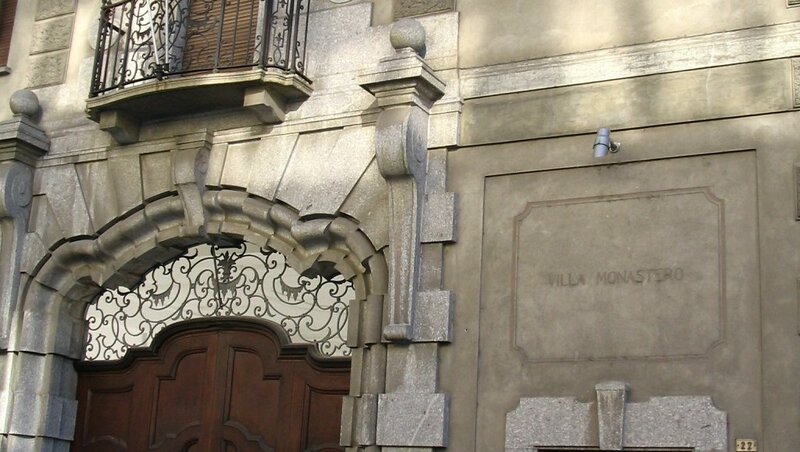 The building of today's Villa Monastero was originally a monastery for women - hence the name of the villa - founded in 1208. In 1569 it was purchased by Paolo Mornico, a rich iron producer from Valsassina. The property remained in the family for some three hundred years. His son Elio was the first of many who made changes to the villa, when - between 1609 and 1645 - he made vast improvements to both house and garden. The original plan of the monastery's church can still be identified in the central part of the building, which was extended with the addition of a loggia whose staircases slope down towards the lake. After the villa changed hands in the second half of the 19th century it underwent a series of further renovations, and eventually acquired its current eclectic appearance: the restoration projects that created the internal staircase and the so-called Pompeian bathroom - using polychrome marble, ceramics and stuccowork - were among the more successful. The surrounding garden abounds in exotic plants and has assorted architectural features in baroque, classical and moorish styles. Since the 1950s the villa has served as a venue for international scientific congresses.